In a move hinted at during a keynote at January’s Open Compute Summit, Facebook is building a data center using new techniques that make it akin to building a giant Ikea desk. The company will use these new “rapid deployment data center” techniques on its forthcoming second data center in Luleå, Sweden, and will share its insights via the Open Compute Project. The second approach, the “flat pack approach,” is the one inspired by the experience of building assembly-required furniture from someplace like Ikea or Target. 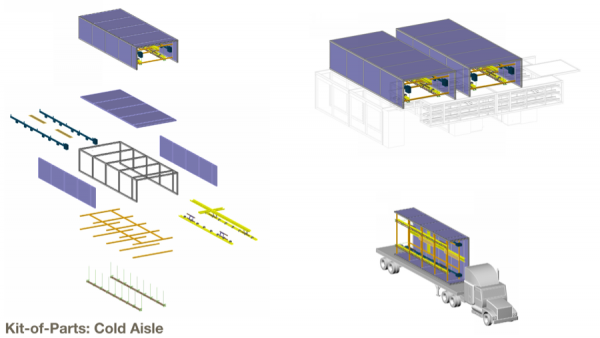 Facebook will pre-package metal beams, wall and ceiling panels, and other parts of its support infrastructure into shipping crates that can be easily transported to data center via standard flatbed trailer and built in place. Once complete, they’ll carry the weight of cooling gear, the aforementioned chassis and everything else that sits directly above the servers. Facebook hopes the new construction techniques will help it reduce the need for specialized design as it builds new data centers, while also cutting down on the resources required to build them. By making these aspects repeatable, local construction crews should be able to follow standard instructions and deliver the same results as their peers in other geographies. Like all things Facebook and infrastructure — including its server, storage and networking system designs — the primary goal is to improve on Facebook’s operational and capital efficiency, but a secondary goal is to shape the way technology vendors build products so Facebook doesn’t have to do so much itself. If enough like-minded companies (the Open Compute Project already includes large IT buyers such as Microsoft, Goldman Sachs and Rackspace) begin adopting these design principles, the theory goes, vendors will see a profitable market and start adopting these principles themselves. 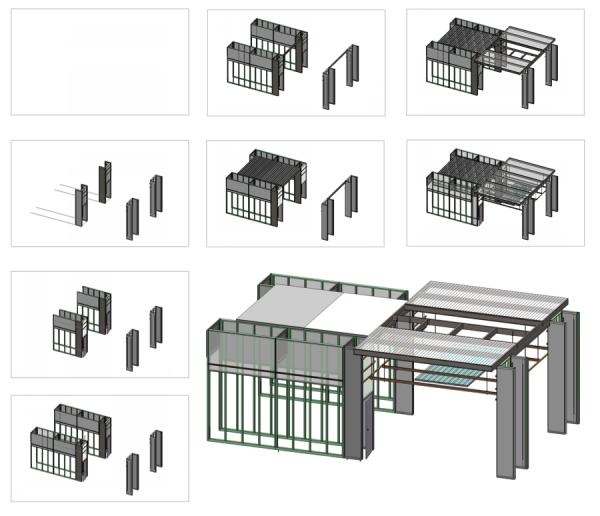 This type of architecture can reduce the investment costs of datacenters. Derrick, do you think it can also generate a new model of consumption of these resources? I mean, if a datacenter is cheaper to acquire. For an equivalent investment, it would afford one every 15 years instead of 30 years. Taking advantage of the latest technologies and reducing their PUE. That you think about it? Facebook labels the entire setup the â€œRapid Deployment Data Center,â€ and they anticipate this will evolve a new worldwide standard for the company, granting teams all over the world to instantly set up the same high-quality facilities. Thanks for your interesting insight Derrick.